Universal Studios Japan (USJ) has unveiled its revolutionary new parade titled Universal Spectacle Night Parade. American supermodel Taylor Hill, who is is recognised around the walk on the runway, arrived in Japan to appear at the unveiling. Internationally active Japanese actress Chiaki Kuriyama, who is known for her role in Kill Bill: Volume I as Gogo Yubari, also made an appearance at the park. 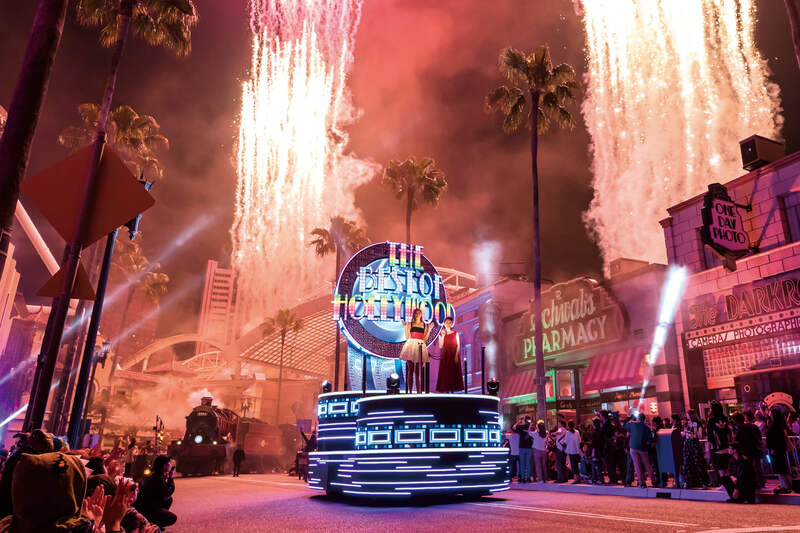 The high-tech parade saw floats roll down the street using projection mapping for the movies Harry Potter, Transformers (the first time for the park), Jurassic World, and Minions. The teams behind the music production of each movie gathered together as songs from the soundtracks―recorded in places across the world including the UK and Australia―played throughout. Immersive stage lighting also illuminated the parade in the birth of this world-first night show, delivering the world of Hollywood movies live. Taylor Hill and Chiaki Kuriyama appeared before everybody amongst the mesmerising lights and sounds. They expressed their excitement about the parade, saying how the parade made them feel like they were actually in the films, and how the concept broke the moulds of all other parades and shows to date. Experience the mind-blowing parade for yourself at Universal Studios Japan!